Posted On August 21, 2014 by Team iCynosure. I'm so excited to bring to you an amazing online hub for all things beauty, Wishtrend. 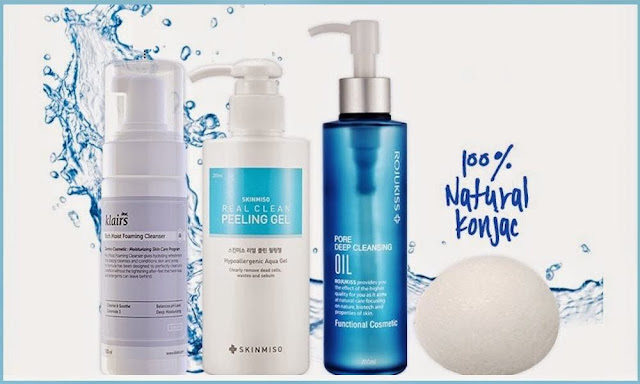 Donah from SweetJellyBean first introduced me to Wish Company the offers Korean Beauty and Cosmetic products via WishTrend and I got curious about them immediately. The first thing I noticed about them was the amazing list of more than 50 Korean brands with over 1000 products. 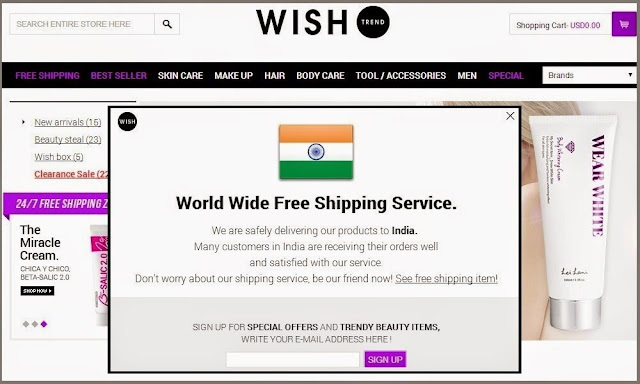 While navigating certain things that stood out for me make it a truly global trend-setting website in the online beauty segment. § The diversity in the list of brands and products, making it truly beauty and health comprehensive. § Price effective with quality assurance backed by assured most recent manufacturing dates. § Worldwide delivery with secure and safe bubbled wrapped products and air packs. § Content about products, new launches and expert professional advice along with a few freebies. § Safe Payment options and great 24-hour customer service policy. As I browsed from the best sellers to skincare and body care products, make-up and hair products; I simply kept adding products to my wishlist. As soon as I reached the 'Specials' I knew I'd fall in love with the categories. The Beauty Steals and Clearance Sales are worth keeping an eye on while the Solution Boxes and the Wish Boxes are worth a few trials, and I'm sure to be booking a few for myself. Just as I was checking the shipping details I was surprised that they are shipping throughout the world including India (calls for a Hola!) and guess what they also have a 'Free Shipping Zone'. No no not what you think it's not geographical so don't go praying that your city is on the list. 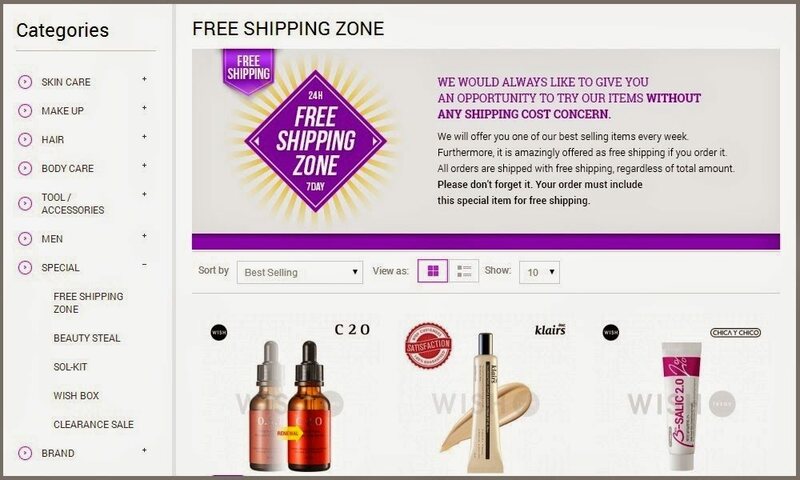 The Free Shipping Zone is an opportunity offered to try one of the best selling items every week without any shipping cost. If you include any item from this list as part of your order, the order is shipped completely free regardless of the total order amount. Isn't that amazing? My first wish with WishTrend is going to be this gorgeous Cleansing Wish Box No. 24 simply because it's more important to wash your face clean rather than to wear make-up. Clears out the skin by deep gentle exfoliation and hydrating the skin giving you clear baby soft skin by peeling off dead skin cells. Works on the skin changing the texture thereby beginning the skincare routine ensuring the skin retains the moisture levels. Melts away the waste and make-up residue accumulated in pores and washes them clean. Made of 100% natural vegetable fibers, it has a hydrating effect and clears the skin without any irritation. Do check them and let me know your first impressions. 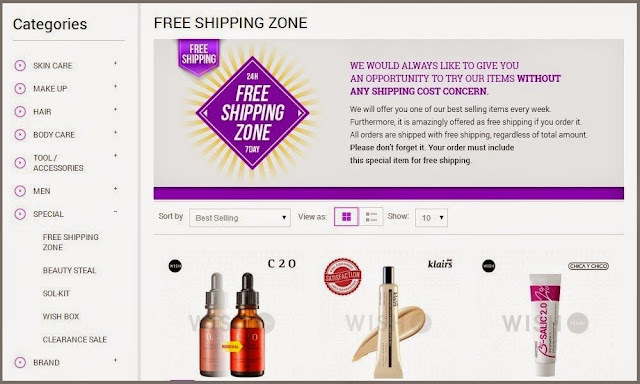 oh, the free shipping zone idea is really interesting! i'll add you on google+!